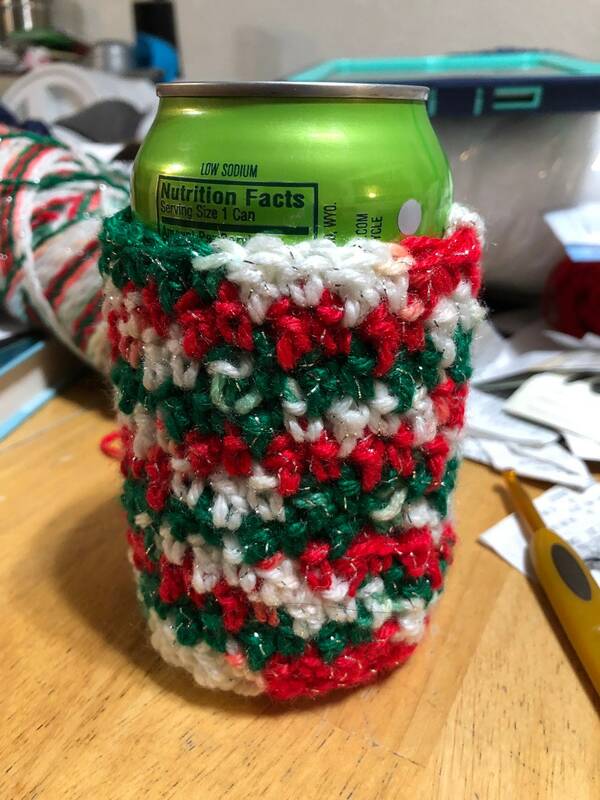 Holiday stocking stuffer item. 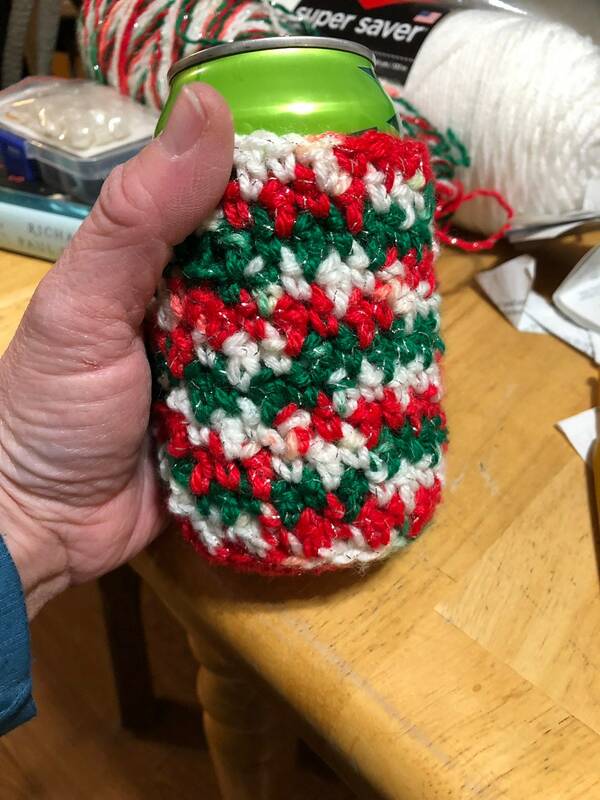 This Christmas can cozy makes a nice little gift to stick in someone’s stocking. 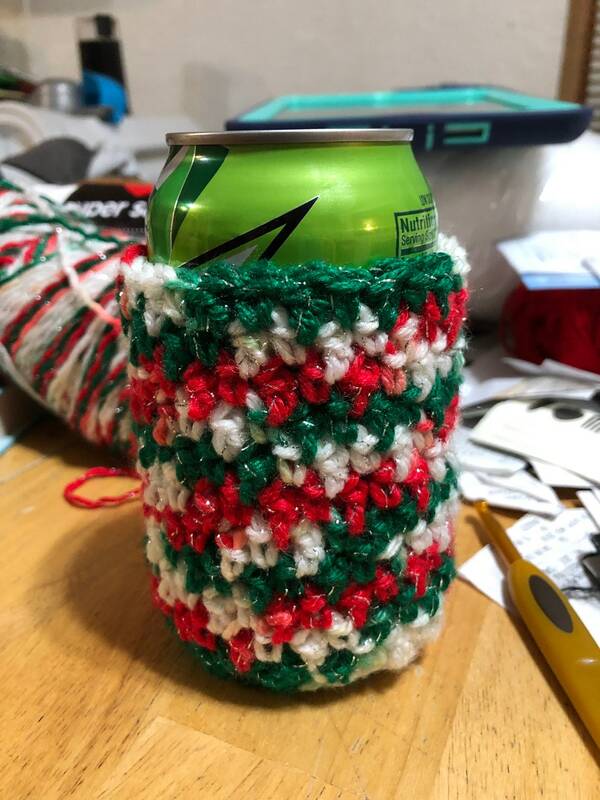 This can cozy fits most soda cans and any container at least 4 in across in width. 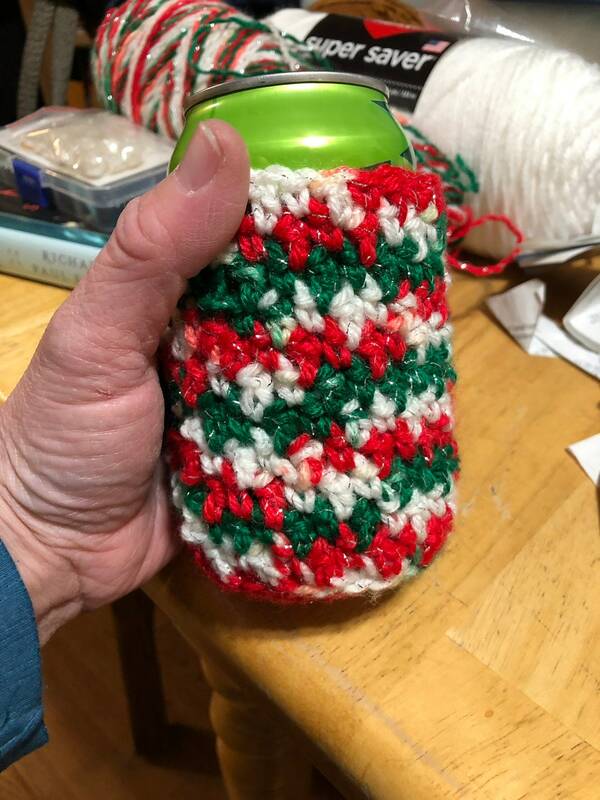 Can be made in other colors as ordered. 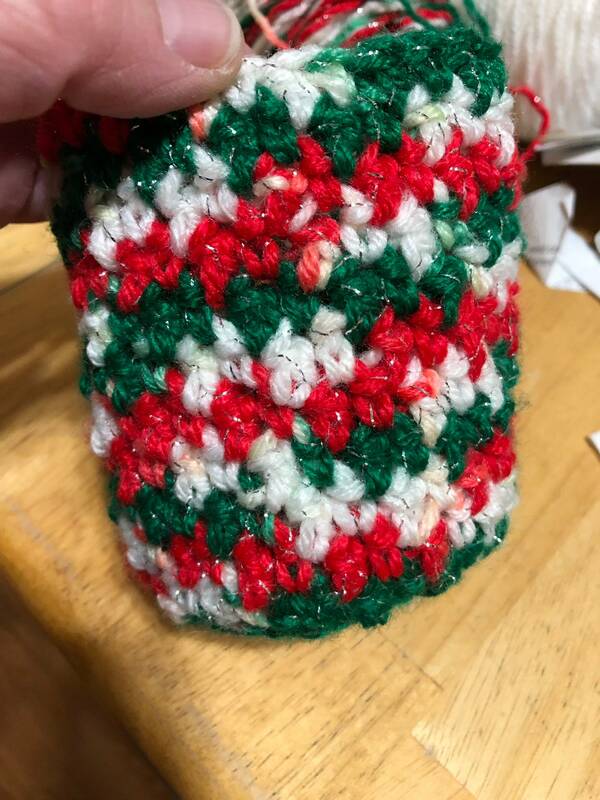 The yarn I used is acrylic. 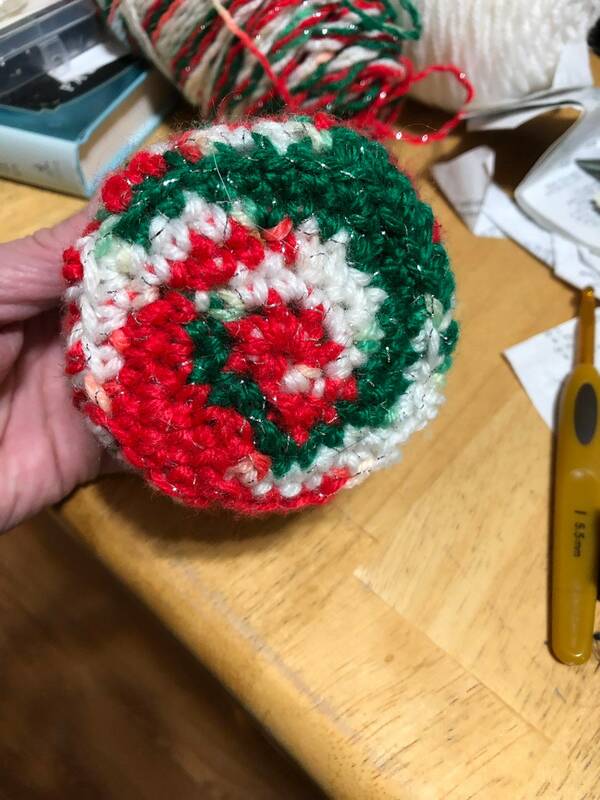 I got the idea for it from a YouTube video by the creative grandma, Glenda winkelman. 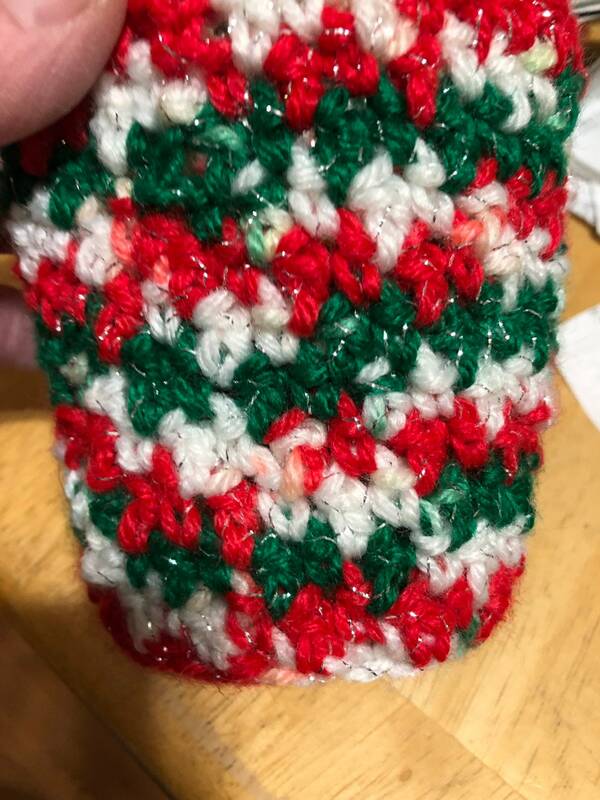 The cozy is 4 by 4 in. This item is made to order.